The merger of Adelaide Bank and Bendigo Bank presented both institutions with the challenge of rebranding their investment entities. 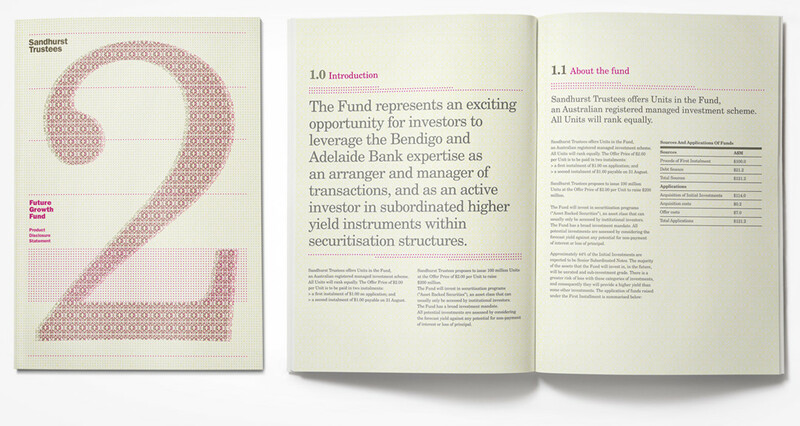 In the case of managed funds, Bendigo Bank’s Sandhurst Trustees was a 100 year-old, well-established household name. On the other hand, Adelaide Bank’s Leveraged Equities was the dominant player in the Australian margin lending market. The need of the hour was to give each brand a corporate identity that set it apart from the other, and yet indicate a shared heritage. Equally important was the need to position each entity as a sophisticated, professional and contemporary player in their respective area of business. Nicknack achieved the stated objectives by strategically infusing each brand with visual attributes that helped them stand apart, and yet appear connected. 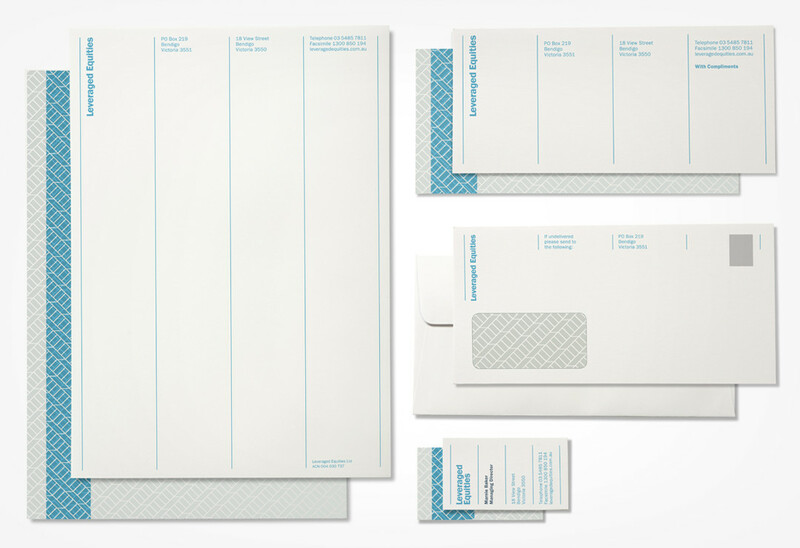 For instance, the Leveraged Equities brand made extensive use of contemporary imagery along with strategic use of a sans serif typeface to convey a contemporary modernist feel. 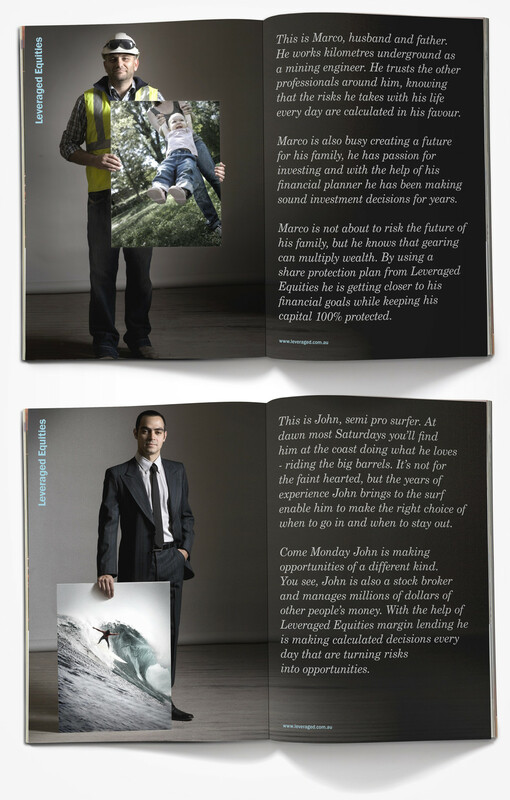 Also, usage of a portrait format for the annual report demonstrated a willingness to break the mould; highly characteristic of a visionary leader. 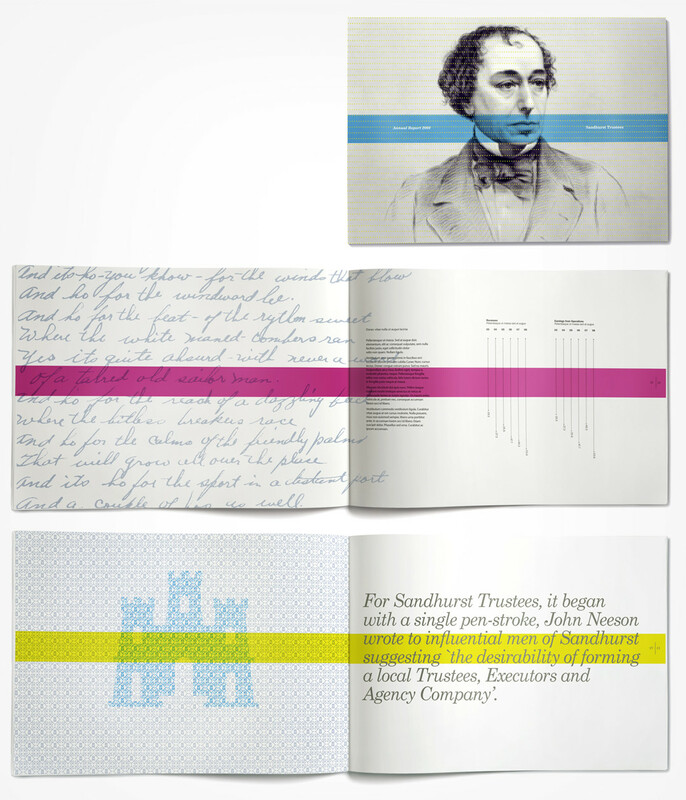 The challenge for Sandhurst Trustees differed slightly in that the new identity was required to reinforce its heritage while adopting a more contemporary outlook. Here again, strategic use of typeface was made (serif, contemporary old-style) alongside a contemporary representation of heritage imagery, which helped convey old-world values with a hint of modernity. 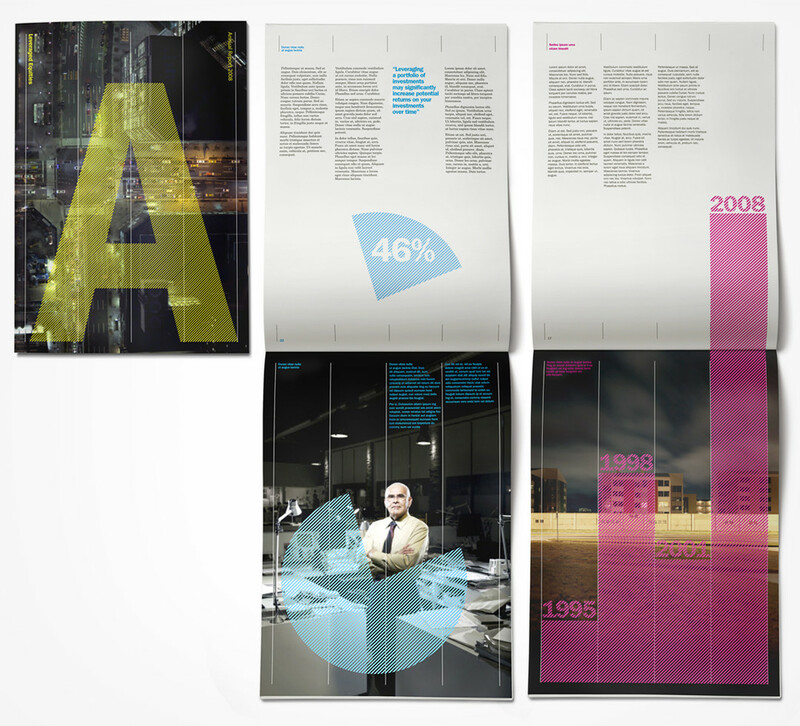 The images on this page showcase how the creative strategy was executed in terms of graphic design in the form of annual reports for both companies. 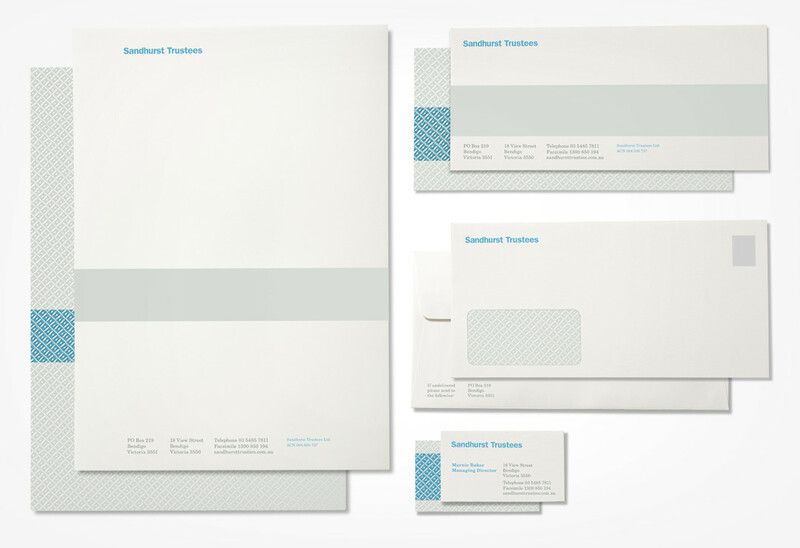 Are you looking to rebrand? 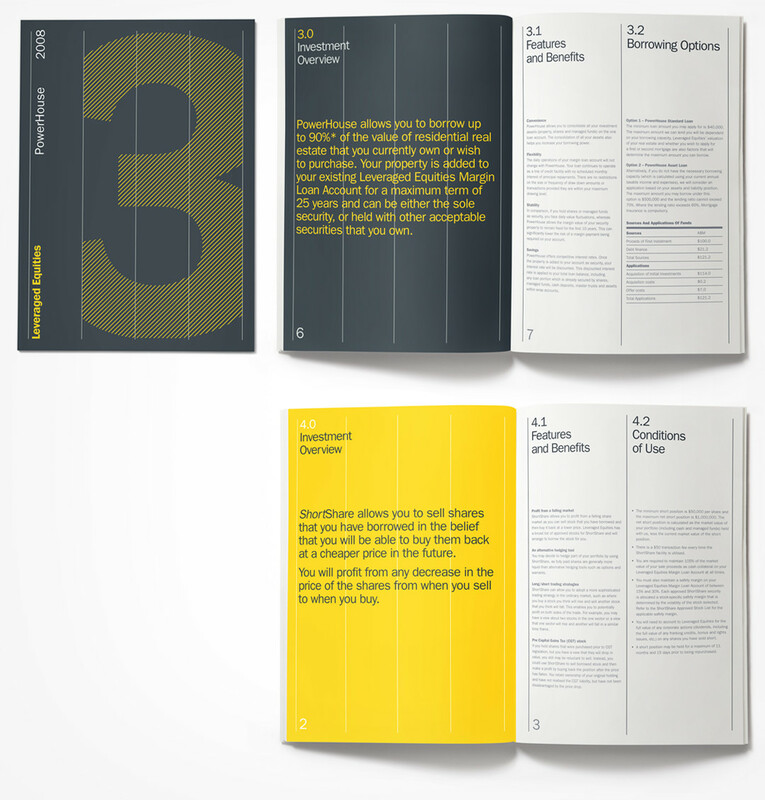 Does your brand need a refresh? 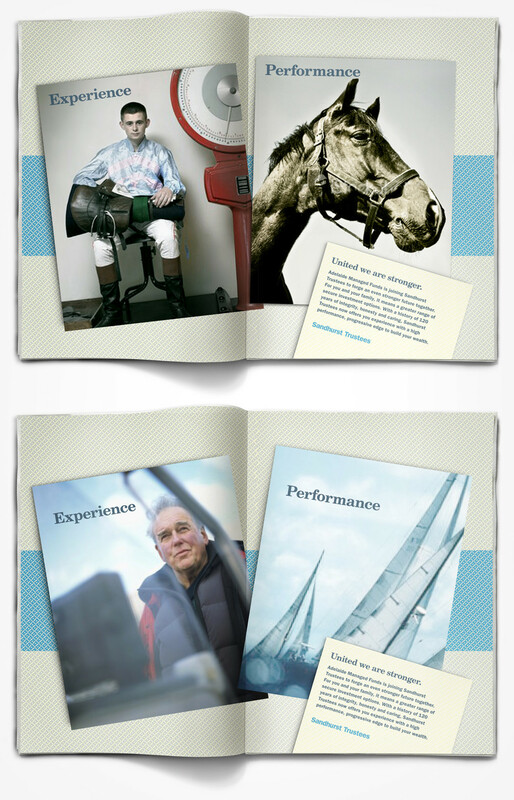 Is it optimised to reach new audiences? Speak to us today. 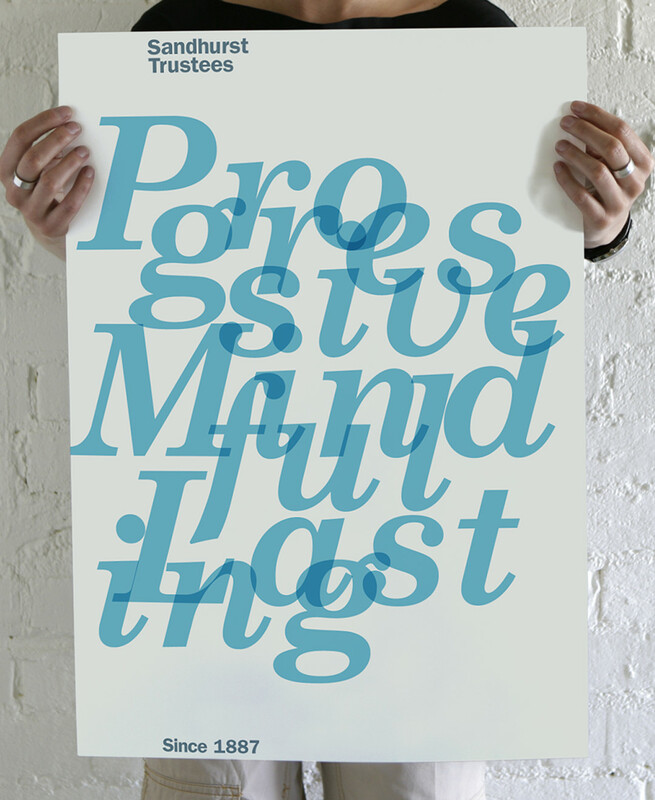 And let’s work together to breathe new life into your brand for success in the marketplace.